AstralPool Colorado Commercial Pump. 10HP, 380V (Three Phase), 7.4kW, 4″, 130,000 Liters/Hour. 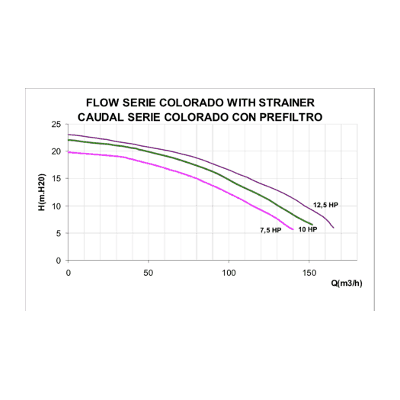 Reliability and efficiency for high flow rates. Centrifugal High Flow Plastic pumps at 3000rpm. Electro pumps for swimming pools, with or without prefilter, ideal for high flow at low pressure. Pre-filter with transparent lid, fixing by butterfly nut and easy accessibility. 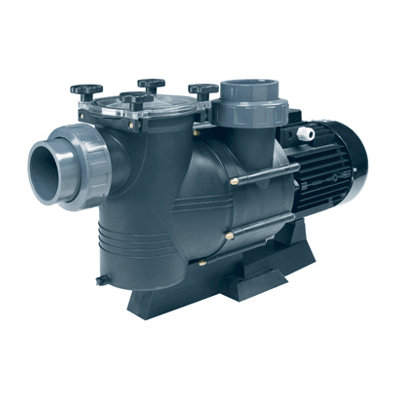 Pump body and prefilter made in polypropylene reinforced with fibre glass & Bronze impeller. Pump shaft and prefilter basket made in stainless steel. 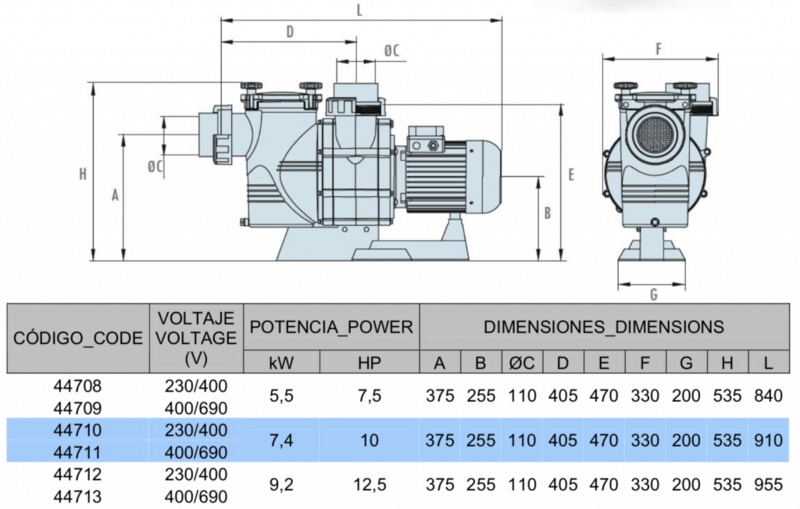 Motors with IP-55 protection, 3000 r.p.m., 230/400 V or 400/690 V, and 50Hz. From 7.5 HP to 12.5 HP. Motor with IP-55 protection and designed to with stand hot environments with high humidity levels. Large capacity basket that extends the running time of the pre-filter cleaning process. Transparent pre-filter cover with screws that are easy to open and handle. Comes with set of screws, sleeves and couplings for suction and discharge pipes.